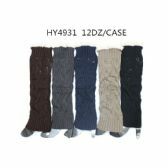 Bulk discounts on women’s leg warmers don’t get any bigger than this, so check out our full range wholesale leg warmers for women and stock up the shelves of your retail store with the best quality leg warmers at the lowest wholesale prices. 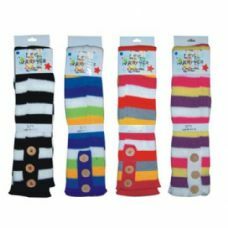 Wholesale Sock Deals is the top wholesale distributor of women’s fashion, women’s socks, leg warmers and women’s pantyhose on the web. 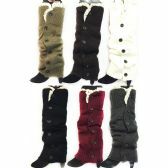 We buy up all the best bulk deals on the market so that you get the lowest prices on all your wholesale fashion needs. 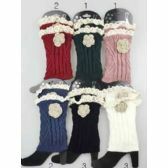 Women’s leg warmers are as fashionable today as they always have been. You can wear them with skirts, with jeans, with flat shoes or heels. 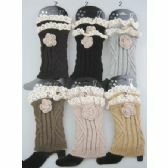 They are great for keeping your legs warm in the winter, and yes, you could even wear them to the gym or a dance class. 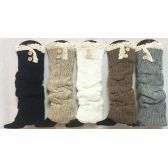 We have a huge range of low-cost ladies’ leg warmers variable and they all come with the biggest wholesale discounts that you will find anywhere. 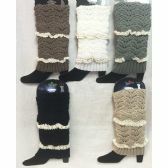 We have some great bulk discount deals on lace boot cuffs, amazingly low prices on wholesale mixed cases of leg warmers in assorted colors and styles, and the biggest wholesale bargains on bulk cases of knitted long boot topper leg warmers with faux fur. 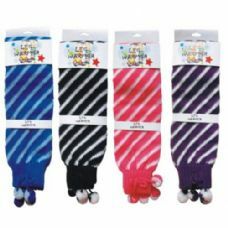 Fashion and style at value for money prices is what you will get with every wholesale order you place at Wholesale Sock Deals. 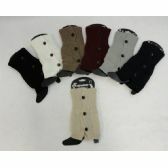 So, order your women’s leg warmers and women’s boot toppers today and stock up the shelves of your retail store with the best wholesale ladies leg warmers around. 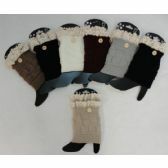 Women’s leg warmers come in many different styles and materials, and we’ve got all the latest fashion leg warmers in stock for you, right now. 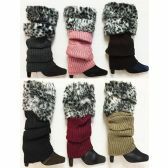 Fashionably striped leg warmers, patterned leg warmers, knitted leg warmers that would look great with a sweater, boot toppers, and fluffy and furry leg warmers for women too. 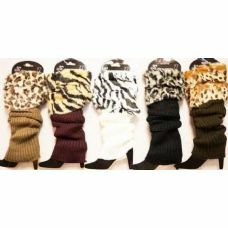 The best bulk discounts on wholesale cases of legwarmers are always here at Wholesale Sock Deals, so order your ladies fashion legwarmers now and you will be able to offer the best prices on boot toppers and leg warmers in your retail store. 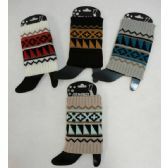 We have patterned leg warmers for women, knitted fashion leg warmers, and winter warm leg warmers. 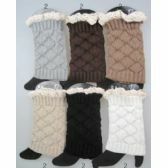 Worn with skirts or jeans, heels or flats, women’s leg warmers are the perfect winter fashion accessory. 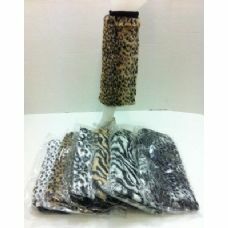 Everything in this range is top quality merchandise at the lowest possible wholesale prices. 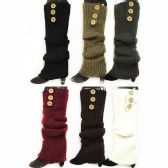 We offer the biggest wholesale discounts on leg warmers, and right across our women’s clothing range so that you can give your customers the best deals. 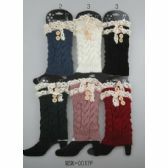 Wholesale Sock Deals are the number one wholesale supplier of women’s socks, leg warmers, boot toppers, and all the top women’s fashion clothing and accessories that you will ever need, so order your bulk cases of low-priced wholesale women’s leg warmers now and stock your shelves with the best quality, inexpensive leg warmers on the market. 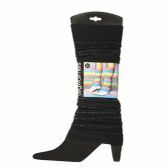 Delivery is free when you order from Wholesale Sock Deals, so order your low-cost bulk cases of wholesale women’s leg warmers today and get ready for the influx of customers into your retail store!